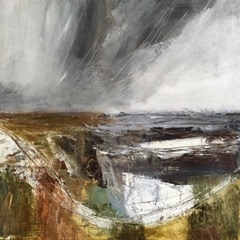 Inspired by our native landscape, I try to evoke those weather filled days that we are so used to in this country. Those days that are more rain and wind than blue skies and sun. 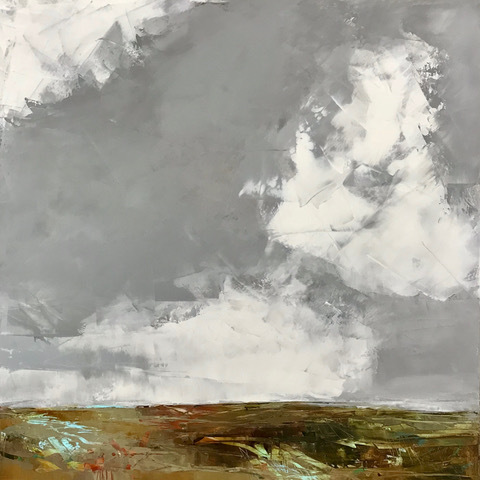 Inspired by our native landscape, Zoe tries to evoke those weather filled days that we are so used to in this country. Those days that are more rain and wind than blue skies and sun. 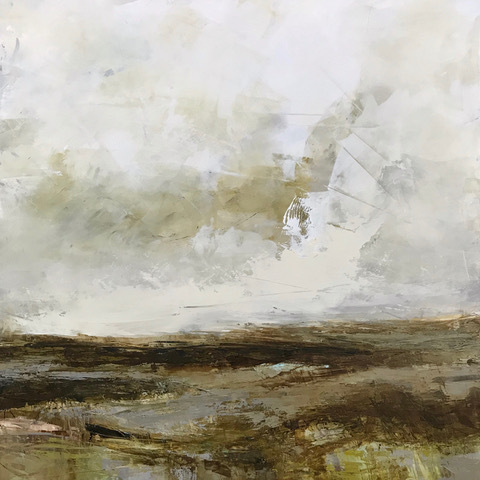 Quickly made sketches in the field inform her paintings which are not directly representational but are a mix of responses to place, time and weather. 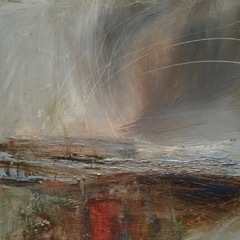 The paintings produced are rarely of one specific recognisable view or place but a fusion of surroundings and feelings towards that place. 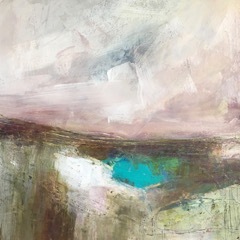 Zoe works from a small studio at her home in Worcestershire and mainly paint in acrylic and on heavyweight watercolour paper with layers of colour marked through to see the workings below. 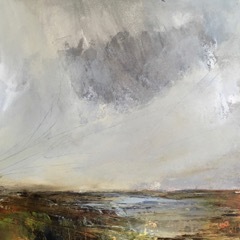 More recently Zoe has been exploring both oil and cold wax medium and working on un-stretched canvas and panel which is proving to be both exciting and, not to say, a little scary.